Preventive dental care involves your daily oral hygiene practices including tooth brushing, flossing, and rinsing. However, your daily routine is not enough to keep dental problems at bay. 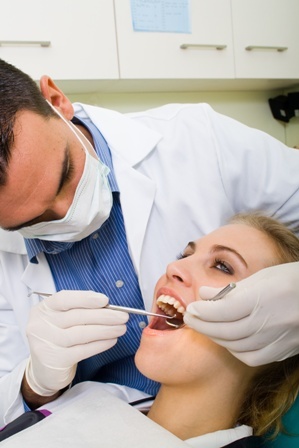 Practicing preventive dental care will cut the costs to your dental visits. By keeping your teeth healthy, you won’t be needing extensive dental treatments. Regular trips to a trusted dentist in Palm Bay are essential to remove any tough plaque and get a thorough, professional clean. Palm Bay dentist Dr. Quadri will provide the needed treatment by using scaling and polishing instruments for removing plaque and tartar from your teeth. These polishing instruments can also remove teeth stains that come from coffee, tobacco or red wine making it more difficult for plaque to build up on your teeth. It is recommended to have regular check-up appointments for an effective oral hygiene system and preventive dental care. If it’s been a while since you had your teeth checked, call Dr. Quadri’s Palm Bay General Dentistry to arrange a FREE consultation for an updated status on your dental health.